Welcome to the website of the Oklahoma State Chapter of the NWTF! 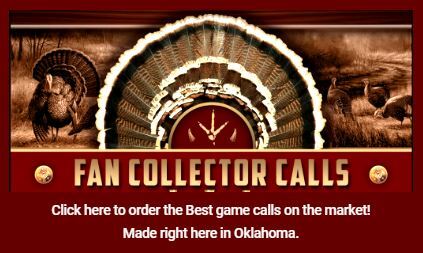 On behalf of the Oklahoma NWTF State Chapter Board of Directors, it is my pleasure to welcome you to our website. We believe in the conservation of the North American Wild Turkey and the preservation of our hunting heritage. That is our motto; however, we are about more than turkeys. We are committed to raising dollars for wildlife habitat restoration and enhancement, as well as the recruitment of new hunters. 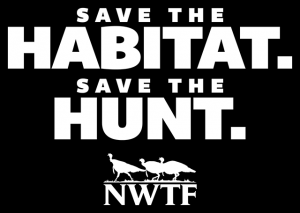 In 2012, the NWTF began our 10-year commitment/initiative to Save the Habitat. Save the Hunt. This ambitious initiative fully intends to conserve or enhance 4 million acres of critical wildlife habitat; recruit 1.5 million hunters and open access to 500,000 additional acres. Our latest “Report Card” documents that, to date, we have conserved or enhanced 1,732,156 acres, recruited 680,750 hunters and have opened access to 327,861 acres. In Oklahoma, our numerous Local Chapters and their banquet committees hold Hunting Heritage Banquets to raise funds in support of Save the Habitat. Save the Hunt. Funds are also raised to support our Outreach programs, including WITO (Women in the Outdoors), Wheelin’ Sportsmen and JAKES (Juniors Acquiring Knowledge and Ethics). We hope you enjoy our website and encourage you to contact a Local Chapter near you and join the thousands of fellow Oklahomans who work together to support and deliver our mission.